A few years ago, the Washington Post had an article that characterized most Independents as socially liberal, fiscally responsible centrists, but allowed there were also libertarians and far-left progressives. At the time, a majority of Independents considered themselves somewhere between Democrats and Republicans. Have Independents changed so quickly? I am befuddled by how they responded to the voter poll on science and 2016 elections that I highlighted in last Friday’s blog post. Consider these examples. Candidates should participate in a debate on key science-based challenges facing the US. Whereas about 90% of Democrats and Republicans agreed strongly or somewhat to a debate, only 78% of Independents felt that way; 11% disagreed strongly or somewhat. 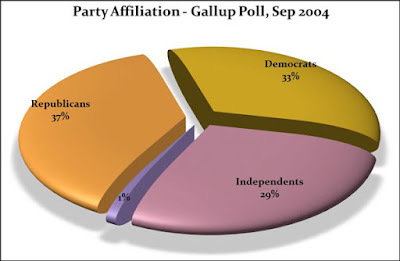 Another 11% of Independents didn’t know, which is about double the percentage of Democrats and Republicans that didn't know. Candidates for President and Congress should have a basic understanding of the science informing public policy issues. Here again, some 90% of Democrats and Republicans felt this was very or somewhat important, yet only 79% of Independents felt that way. And again, 13% of Independents weren’t sure, which is about double or triple the percentage of Democrats or Republicans who couldn’t decide. Public policies should be based on the best available science. About 80% of Democrats and Republicans were strongly or somewhat in agreement; 68% of Independents felt that way, with 16% of Independents responding don’t know. How well informed are you of the candidates’ positions about policies and funding for science and innovation? Just under half of Democrats and Republicans felt very or somewhat well informed; only 37% of Independents felt that way. That 12% of Independents weren’t sure would seem worse if 10% of Democrats also weren’t sure. 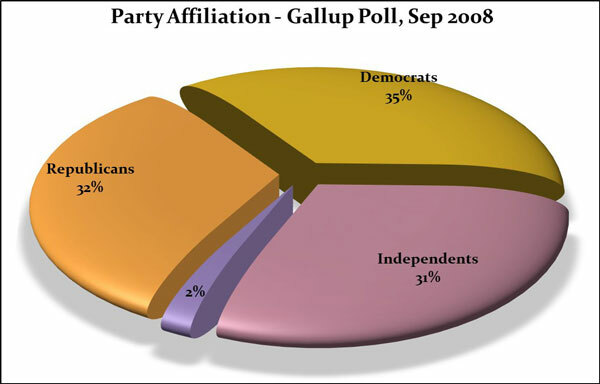 Given the relatively high percentages of don’t know and not sure, I’m starting to wonder if Independents were saying “Go away! Don’t bother me with your survey!” or if they really didn’t know or weren’t sure. 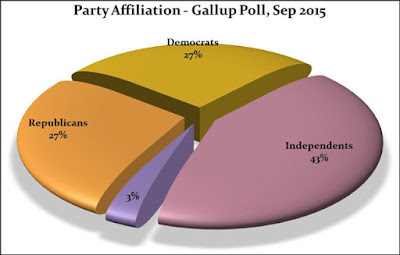 I hope the survey just caught Independents on a bad day.